Delegated network administrators are certified Microsoft Cloud Partners who meet Microsoft standards for planning, deployment, and ongoing support of Microsoft Exchange, Office 365, and other Microsoft Cloud product lines. Delegated administrators are experienced engineers and consultants who are capable of managing large and small installations according to Microsoft’s benchmarks. ComStat is a Microsoft Cloud Partner and certified delegated administrator. 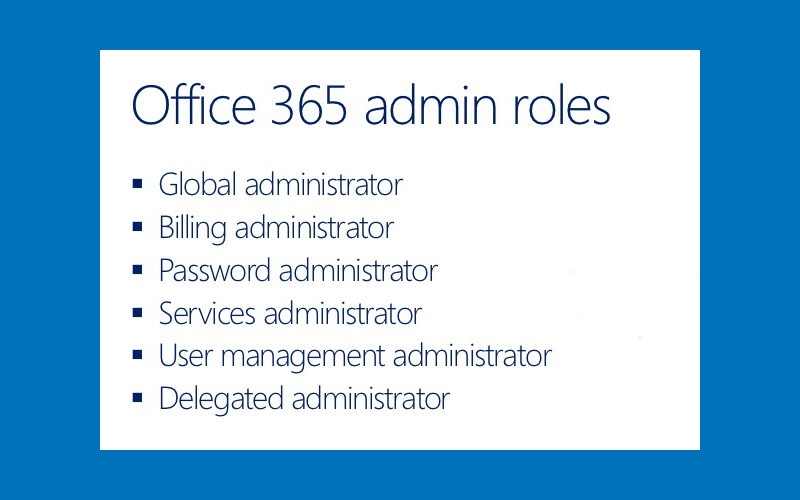 Delegated administrators perform tasks like liasing with Microsoft Support, setting up mailboxes, adding or removing users and groups, data migration, managing domain names and zone records, managing security policies, managing Exchange-connected mobile devices, managing transport, DLP, and other Exchange services, etc. Whereas small businesses are often faced with steep learning curves and under-utilized software, delegated administrators provide a reliable point of contact to advise business owners and implement application features that are beyond the scope of limited in-house resources. Delegated administrators allow users to get the maximum resources from Microsoft applications.